Everyone knows about the comfortable, at home feeling that comes from sliding your feet into a pair of women’s sheepskin slippers, but they offer much more than just comfort. Sheepskin has been used to make wool for warm clothing and shoes by our ancestors for hundreds of years. They recognized that they have much more benefits than just being comfortable. Sheepskin contains oil that is very similar in composition to the oil that people secrete, it’s called lanolin. Lanolin has several properties that make it highly beneficial to humans. This is why it is a popular ingredient in a lot of skincare and cosmetic products. It is a natural moisturizer and its presence in the wool in sheepskin slippers guarantee not only the smooth feeling you get but also moisturizes your feet. It allows your feet to retain moisture and not dry out. Sheepskin slippers are the preferred choice for many people while they are home for wearing indoors. They love the relaxation and general feeling of well-being that comes from the sheepskin rubbing against their feet. Because sheepskin is flexible it envelopes the feet in warmth and has the effect of a warm sheepskin coat for your feet. They can be worn for hours at a time or all day. Your feet will not get sweaty even if you are prone to sweaty feet as the sheepskin will easily absorb the excess moisture from your sweat but still moisturize your feet. This is because sheepskin is a natural breathable skin so it allows air to pass through. This is an important feature to have in slippers that you may wear all day. These are some of the same features that patients and their doctors seem to find attractive and very useful. 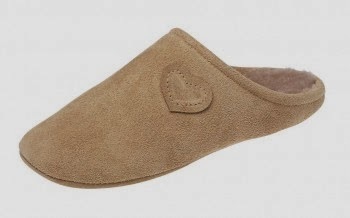 As a result, in many hospitals, nursing homes, and other care institutions, sheepskin slippers are the popular choice for the residents there. The slippers are comfortable and flexible enough that they can be worn in bed and the patient can come out of bed and walk around in them. This saves them time and the inconvenience of having to call for help or receive assistance each time they need to put their slippers on. 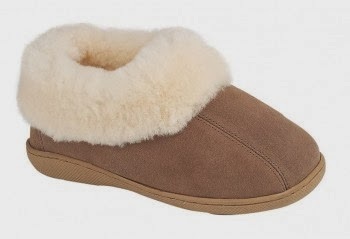 The breathable sheepskin, the moisturizing effect of the lanolin, and the antibacterial properties of the lanolin means that sheepskin slippers are also very helpful in reducing and eliminating the moisture and wetness that can lead to bedsores. Even for individuals who wear their slippers primarily indoors, the occasion will probably arise where you have to go outdoors, perhaps you may need to empty the trash or collect the mail. It can be tiresome to have change your slippers for such a quick trip. Women’s sheepskin slippers should have soles that are sturdy enough for longer wear. They can survive a trip outdoors without getting your feet wet or soaked. Slippers that have suede or rubber soles depending on the amount of outdoor wear involved are usually the best slippers to purchase. To purchase women’s sheepskin slippers visit Draper of Glastonbury. To learn about organic sheepskin visit Organic Sheepskin.